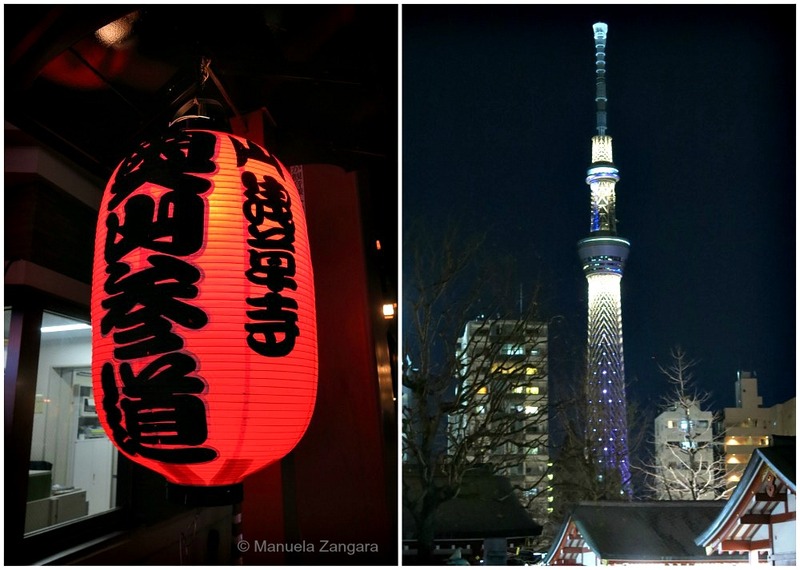 During our recent trip to Japan, we spent a few days in Tokyo. It is a huge city and each area has its own characteristics… they are almost separate towns that make up a huge metropolis. 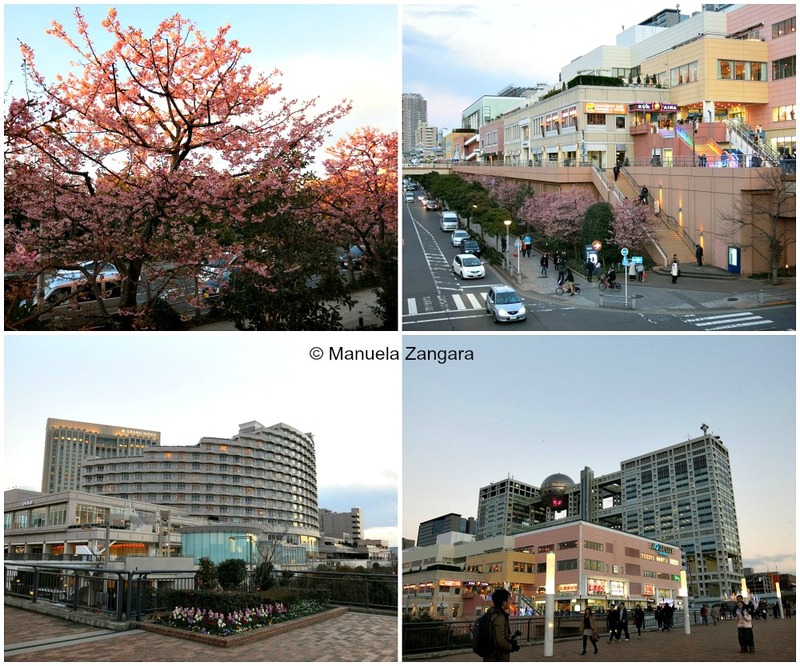 Having already been there in 2015, we had already visited all the “must-see” places on our list, so this time, we decided to take it easy, enjoy the area around our hotel more and see a few “off-the-beaten-path” places. 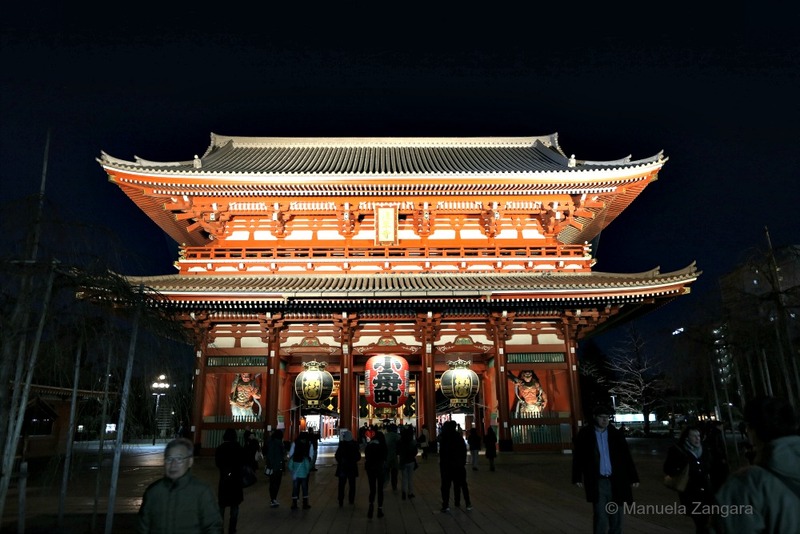 Asakusa is located in Taito-ku (Taito District) near the Sumida River. This is probably our most favourite place in Tokyo. 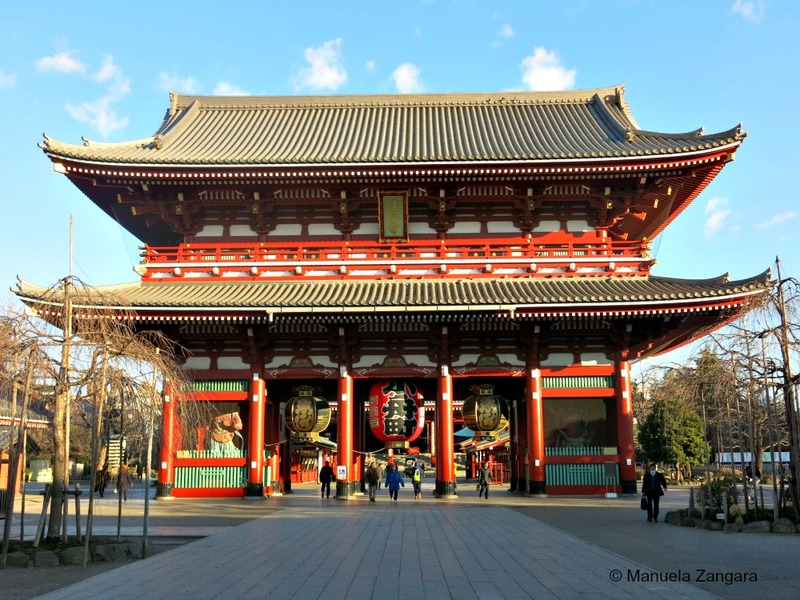 Maybe we got sentimentally attached to it, as it was the first place we saw when we first arrived in Japan in 2015, but it’s hard not to fall in love with the Sensoji temple, the oldest temple of Tokyo, and the surrounding streets. 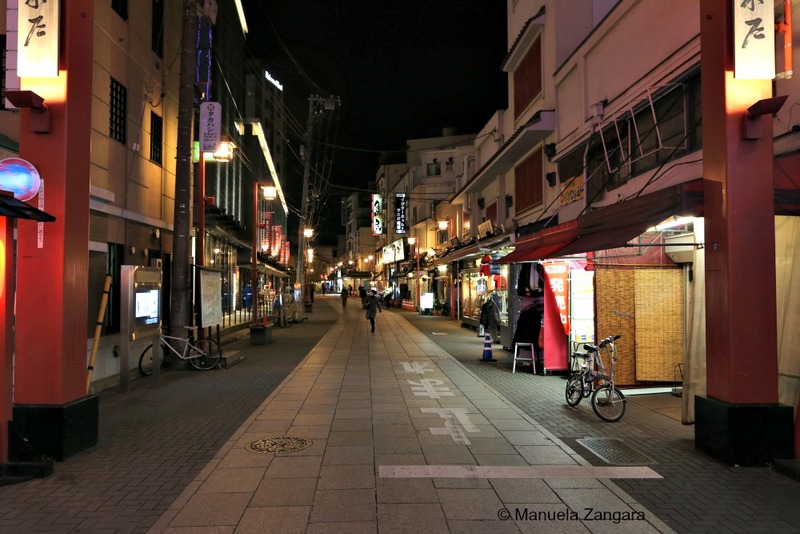 Right after the Kaminarimon gate (the Thunder Gate), you arrive on Nakamise-dōri, a pedestrian street that dates back to 1688 and is lined with little shops that sell all sorts of souvenirs and food. At the end of Nakamise-dōri, you see the second gate, called Hozomon. Here is where you “get ready” to enter the temple. You can walk up to the burning incense and wave the smoke towards the part of your body you want to be blessed. Then at the fountain you need to wash your hands. The correct way of doing this is: hold the ladle with your right hand and rinse your left hand, then hold the ladle with your left hand and rinse the right hand, and hold the then ladle with your right hand one more time and pour some water into your left hand to rinse your mouth (do not drink from the ladle!). … and even plastic food which is so realistic! 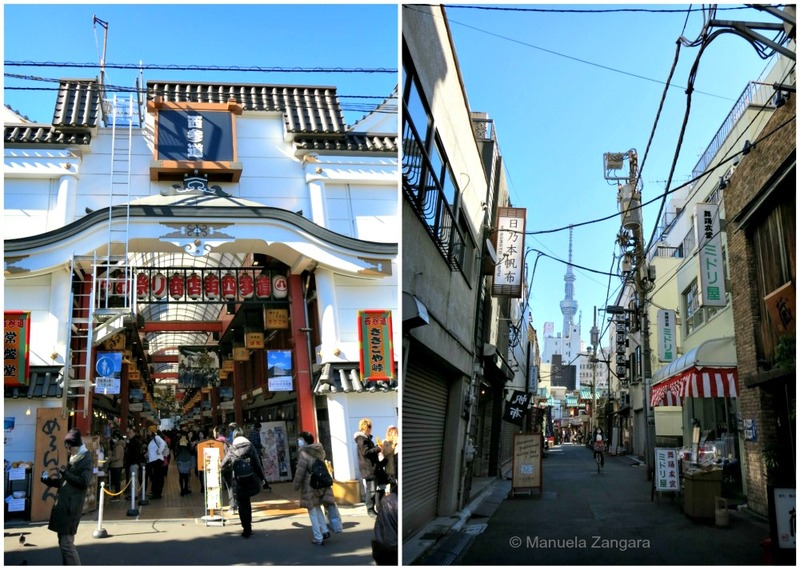 I really like the more traditional feel that Asakusa has compared to other areas of Tokyo. Walking around it at night, with all the streets lit up, is an amazing experience! If you are ever in the area, I recommend you visit Don Quijote (also known as Donki). It is a huge shop that sells practically anything: from food, to electronics, to cosmetics, to toys and souvenirs! It is amazing! We would always buy our breakfast there. I also got some Sakura flavoured soy milk here… YUM! 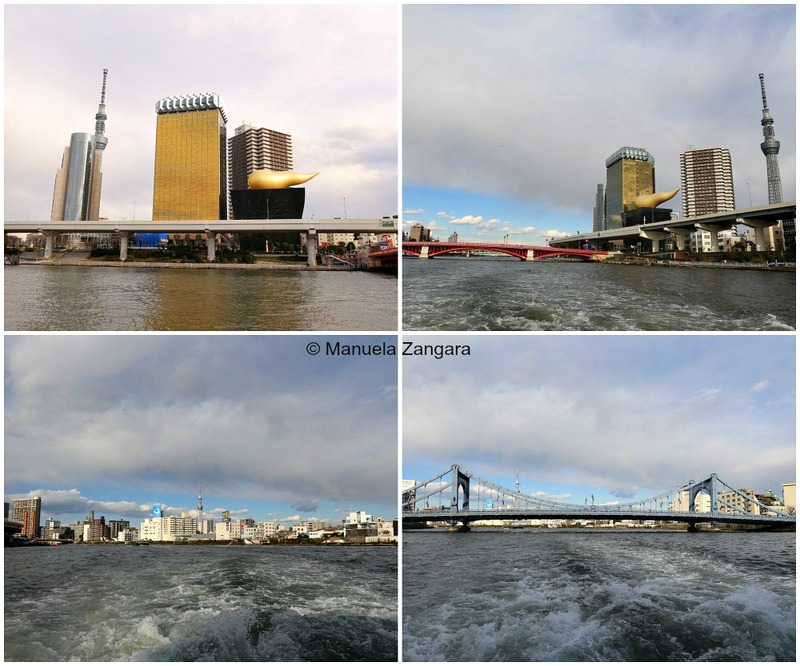 This time we also took a little cruise on the Sumida River. The cruise itself is nothing great… the panorama doesn’t change dramatically and it is a bit boring, unless you have a passion for… bridges. It was however a good alternative way to reach Odaiba and avoid the crowds on the trains. Odaiba, on the other end, is a quite interesting area. 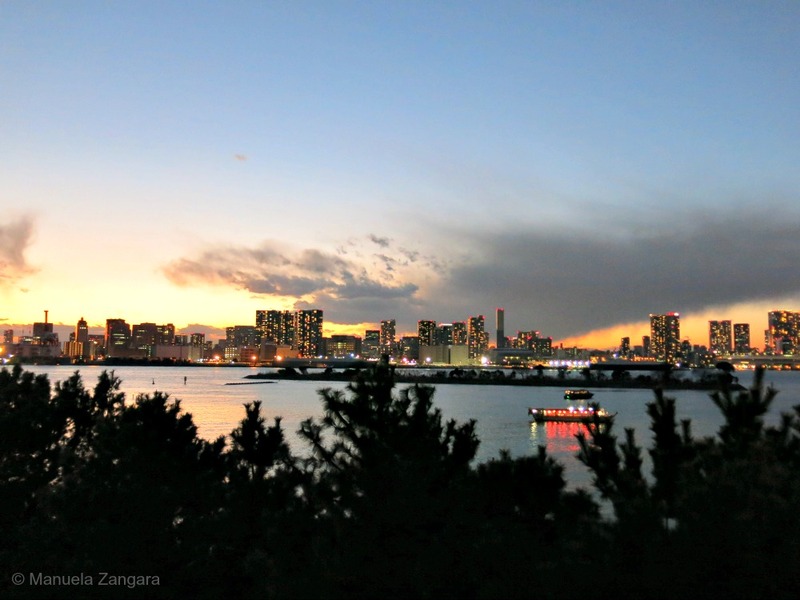 It is a popular shopping and entertainment district on a man-made island. 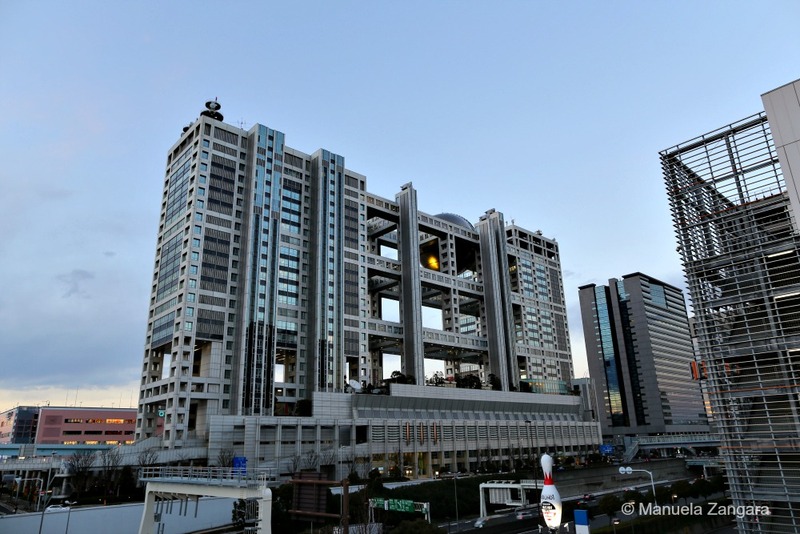 It boasts some very interesting buildings like the Fuji TV Building, Telecom Center and Tokyo Big Sight. It also has plenty of green space. 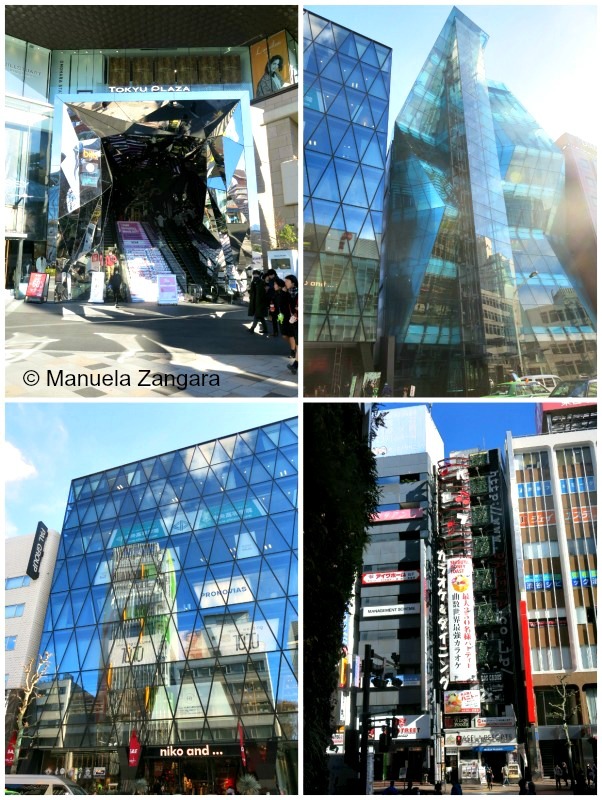 There are also various museums and the Toyota Mega Web – a giant Toyota showroom. 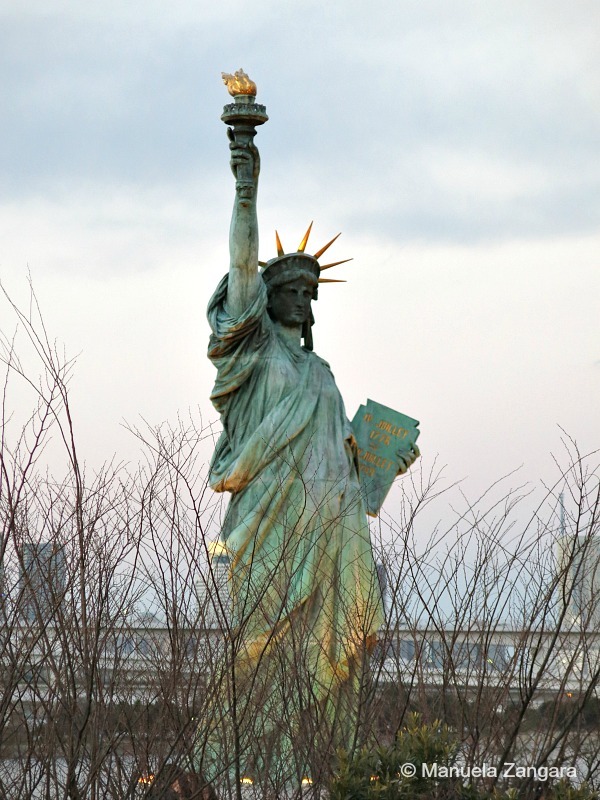 There is even a small Statue of Liberty! 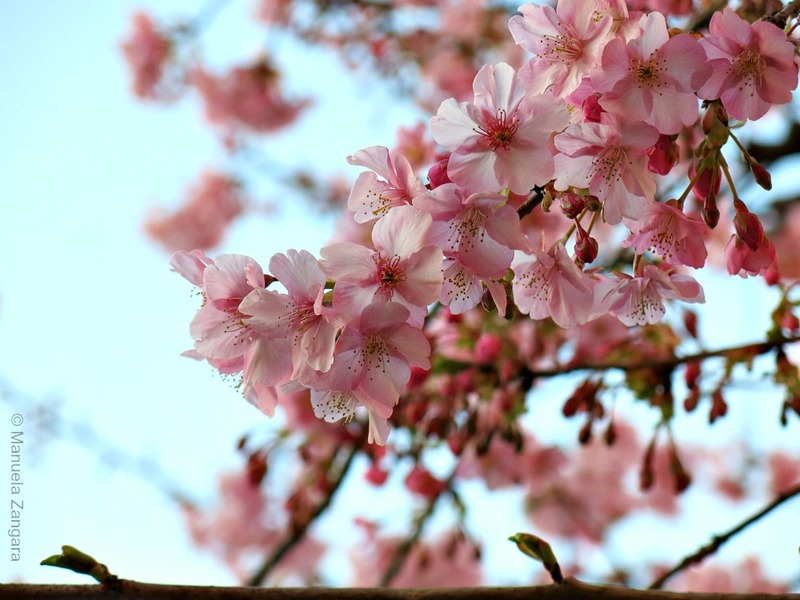 When we visited Odaiba in February, there were even some cherry blossoms in full bloom thanks to the early blooming variety that has been introduced in many areas of Japan. 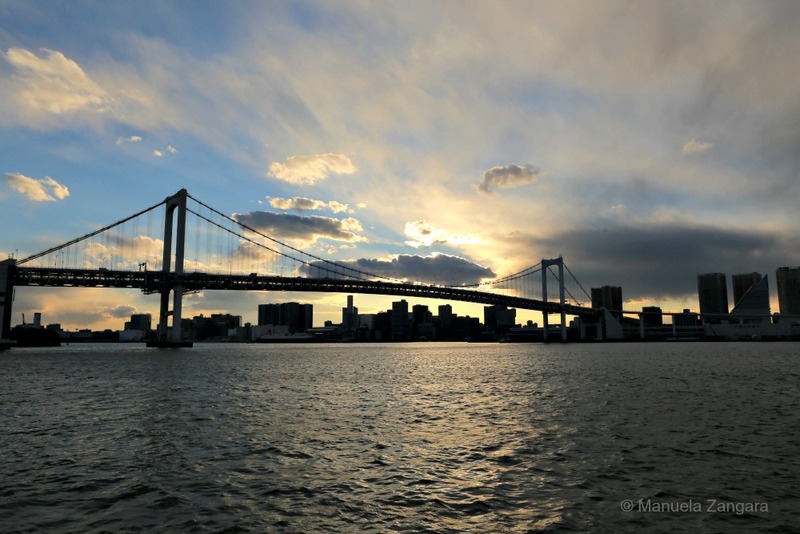 The Rainbow Bridge is another beautiful attraction. 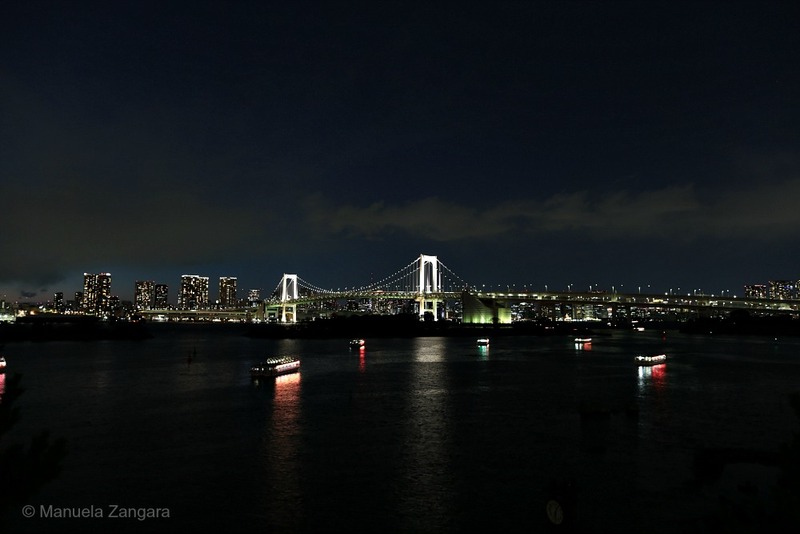 It connects Odaiba to the rest of Tokyo and is especially beautiful during its nightly illumination. 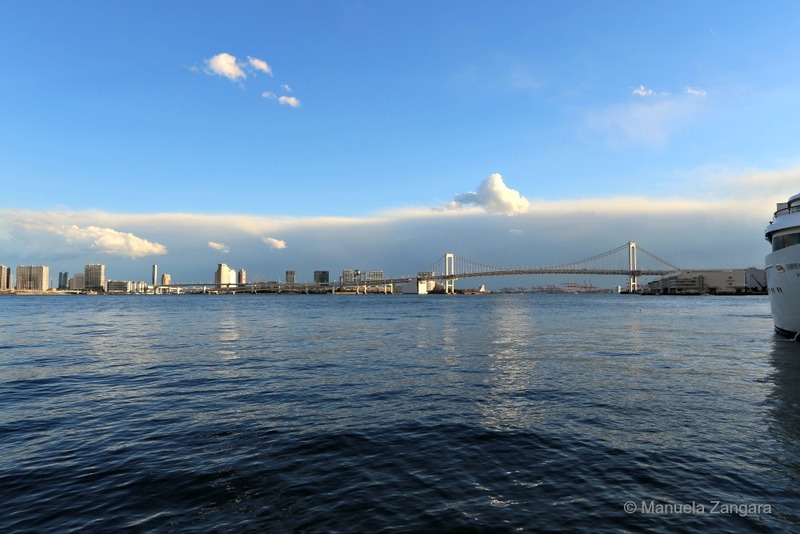 The bridge supports an expressway, a regular road, the Yurikamome train line and pedestrian walkways along both sides. 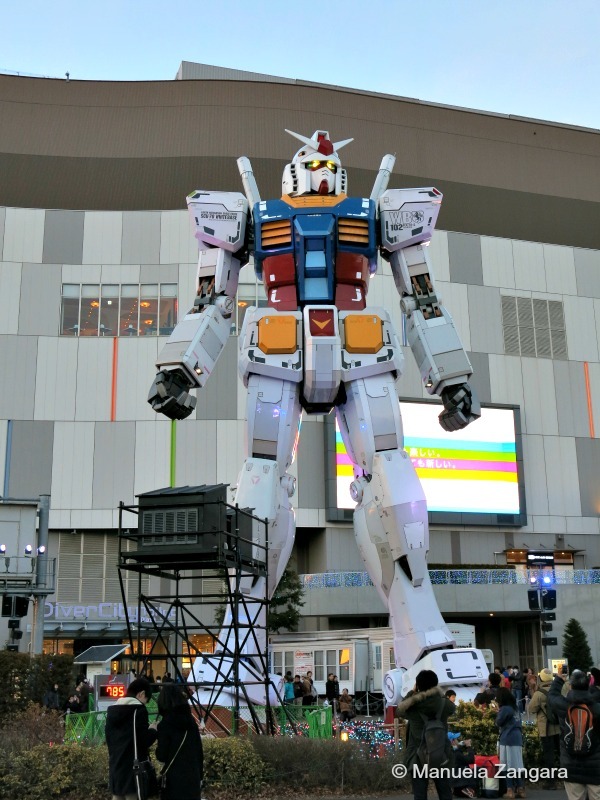 We have also been among the last fortunate visitors of Gundam Front Tokyo, where you can see a life-sized Gundam statue. In fact, the Gundam statue is scheduled to be removed on March 5th, 2017, followed by the closure of Gundam Front Tokyo on April 5th, 2017! 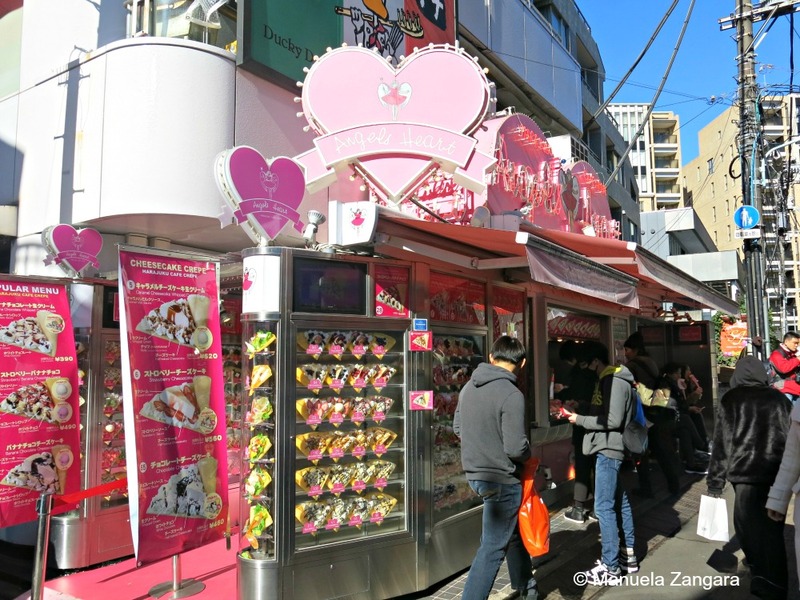 Another area we could not visit in 2015 was Harajuku. To be honest, we went there and managed to visit the Meiji Shrine, but we could not access Takeshita-dori due to an immense crowd that would not let us reach it from the train station! 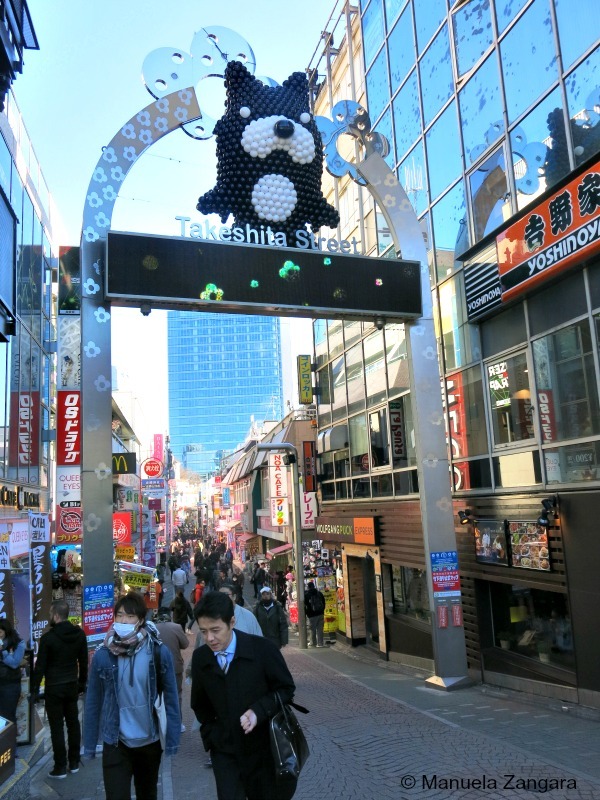 This time around we had more luck and we managed to walk along Takeshita-dori, the focal point of Harajuku’s teenage culture. 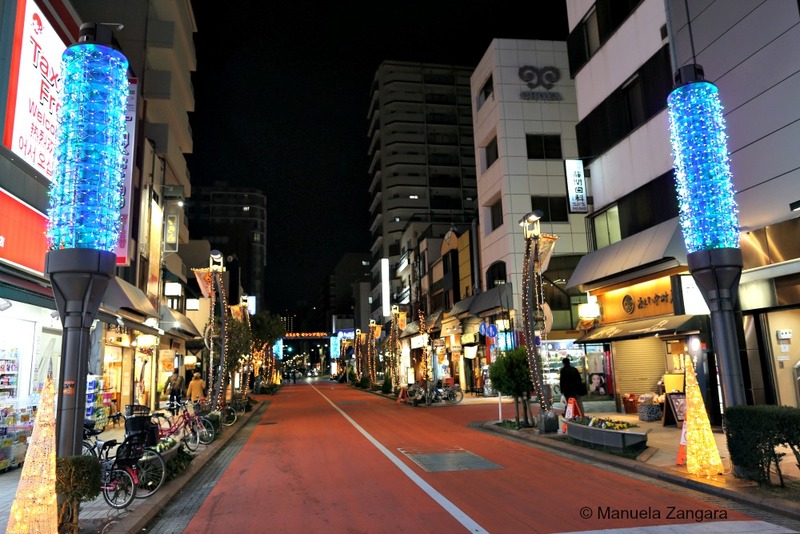 It is a street lined by many trendy shops, fashion boutiques, used clothes stores, crêpe stands and fast food joints. 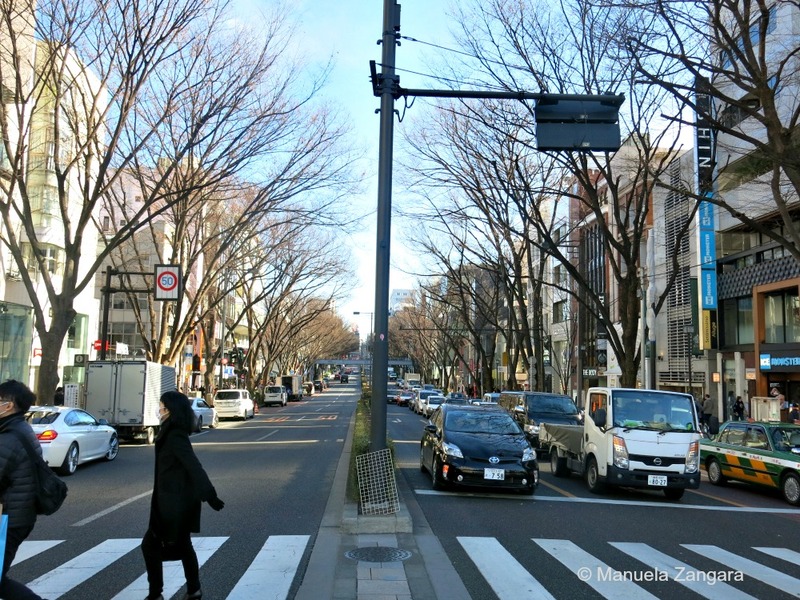 Just south of Takeshita Dori is Omotesando, a broad, tree lined avenue sometimes referred to as Tokyo’s Champs-Elysees. 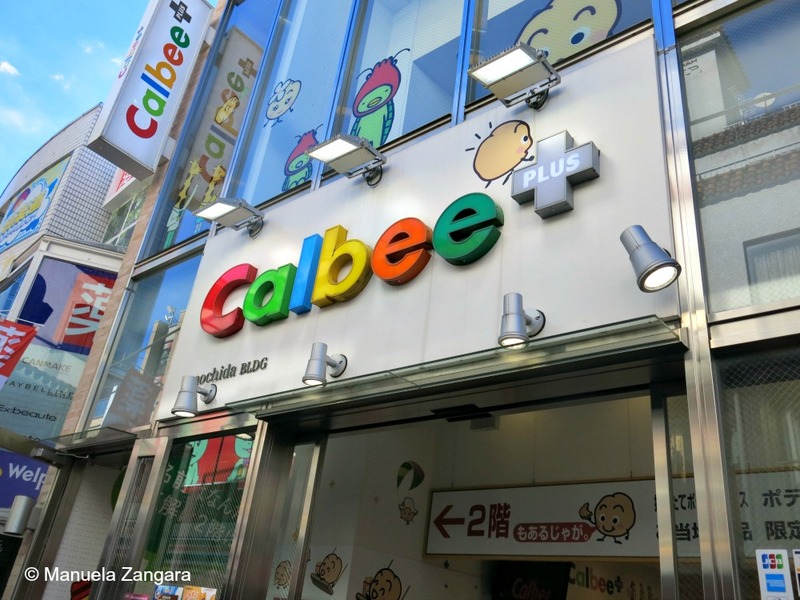 Here you can find famous brand name shops, cafes and restaurants for a more adult clientele. 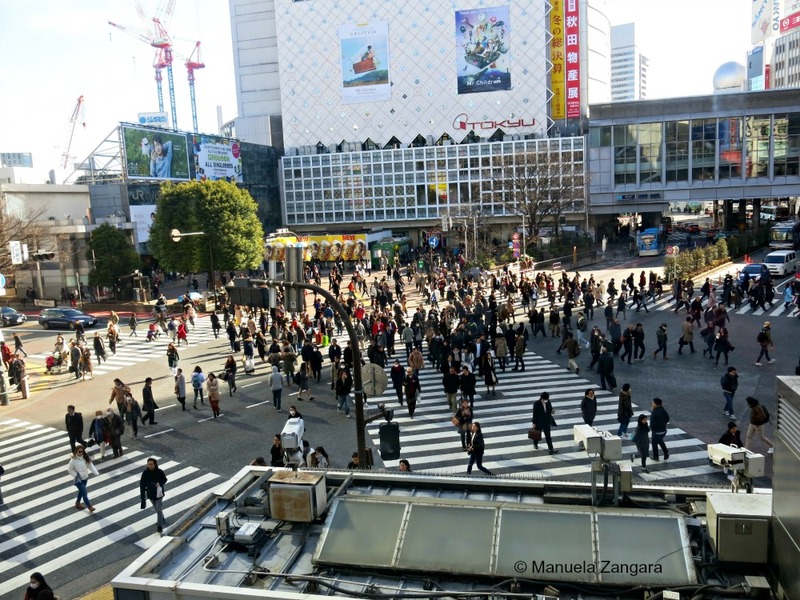 From Omotesando, we kept on walking till Shibuya, where we stopped at the famous Shibuya Crossing, where thousands of people cross each day. You can get good views and photos from the Starbucks. 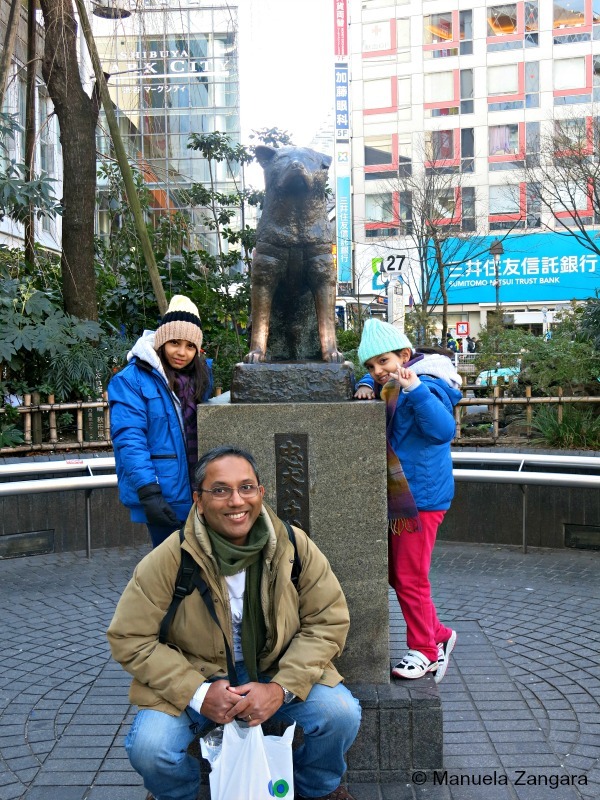 We also stopped for a quick photo with the Hachiko Statue (the dog who waited for his master every day for years even after his master had passed away) before catching the train back to Asakusa. 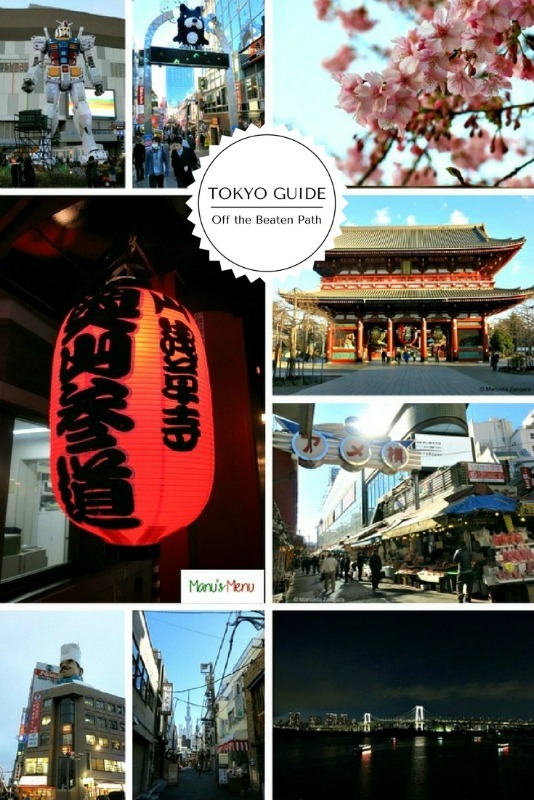 For a more detailed guide of this area, read my Shinjuku Guide. The day we arrived, we had to go to Ueno to exchange our JR vouchers for the passes. We also bought our data SIM card from Yodobashi Camera shop. 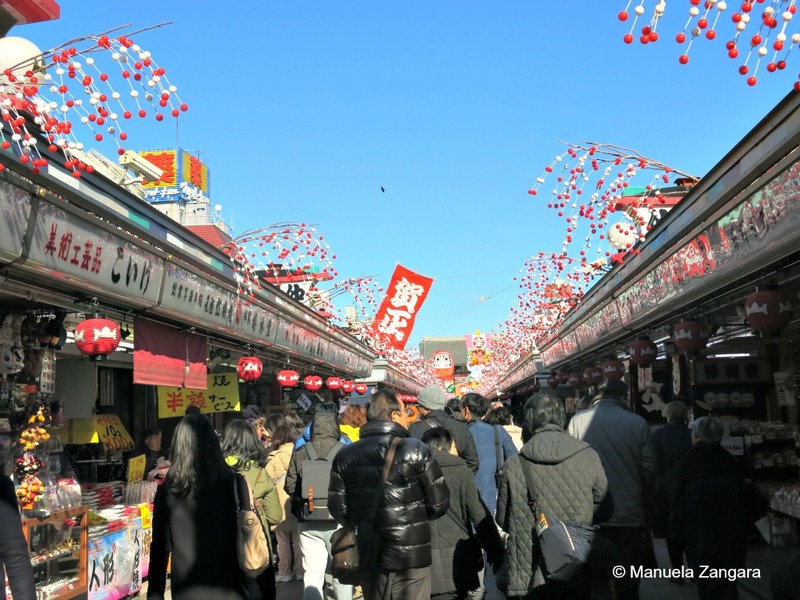 We had not planned this visit, and we had to wait 1 hour for the shops to open, so we walked along Ameyoko – a busy market street along the Yamanote Line tracks between Okachimachi and Ueno Stations. It’s always a nice area for a walk. 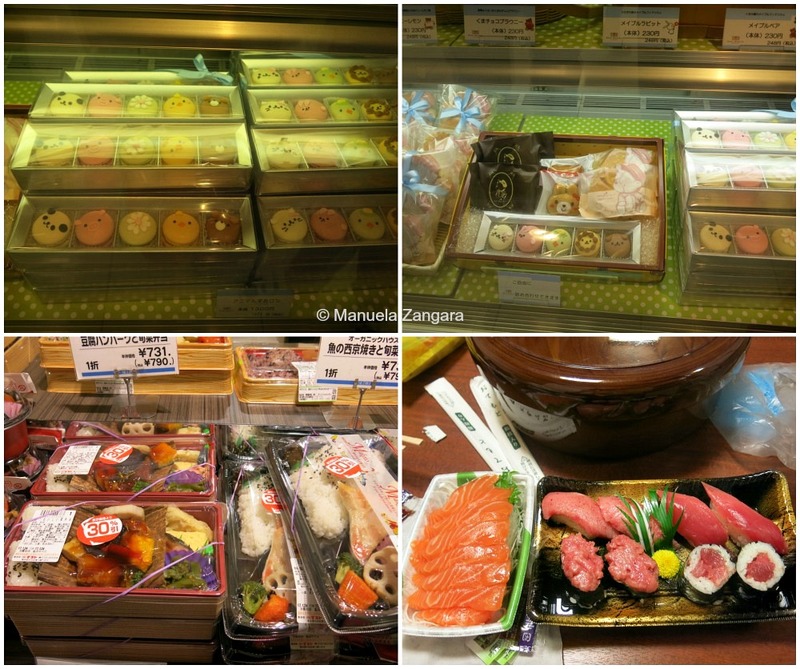 If you love some Japanese characters, there is a perfect place to go shopping in Tokyo Station. It is Character Street. 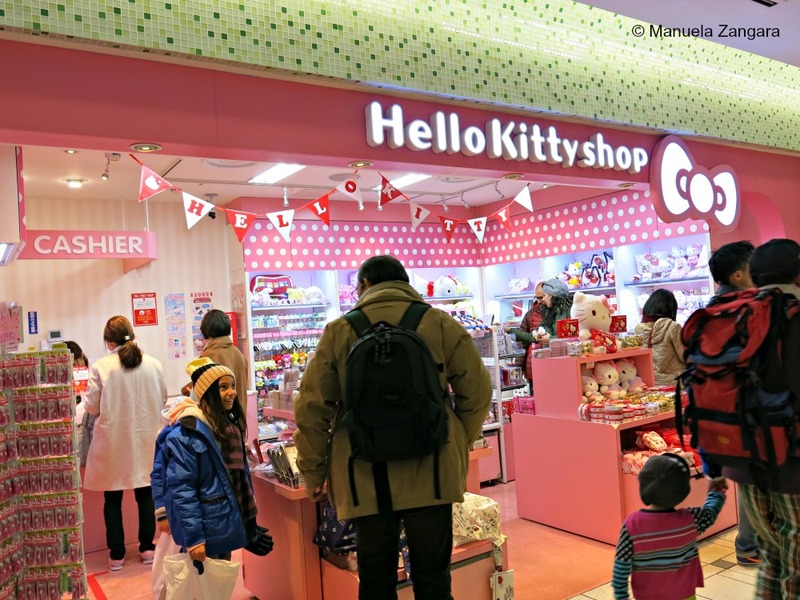 There are many character official shops here, including Pokemon, Miffy and Hello Kitty! It is heaven for kids and adults alike! 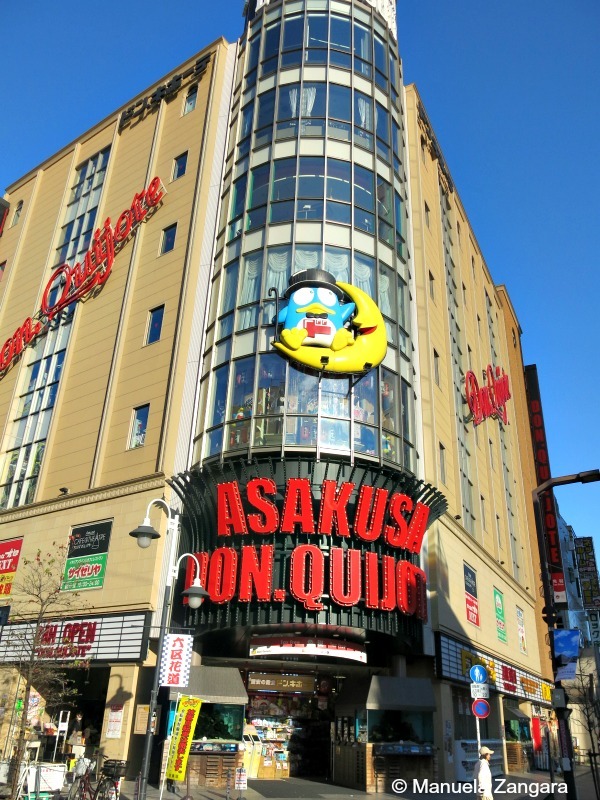 In Asakusa, besides Donki, there is also ROX – another shopping centre. 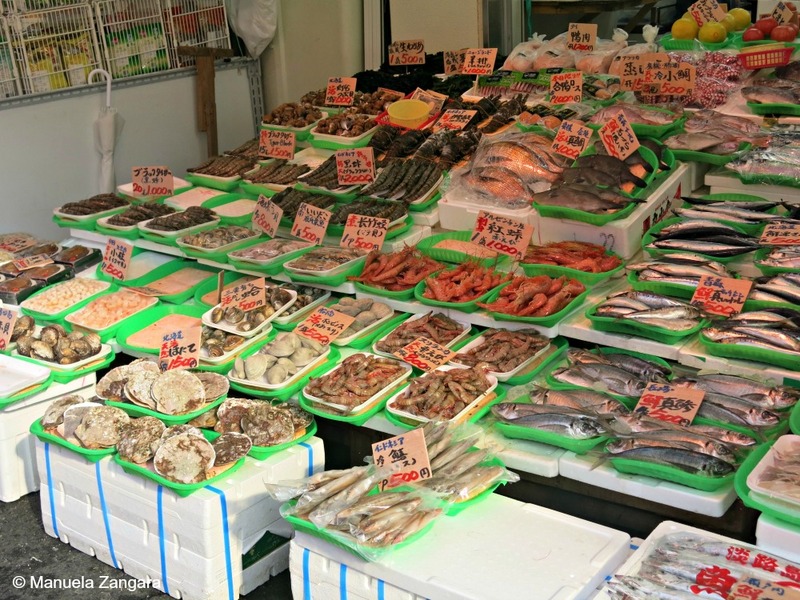 There is a huge supermarket with delicious depachika-like food and ready-made dishes. 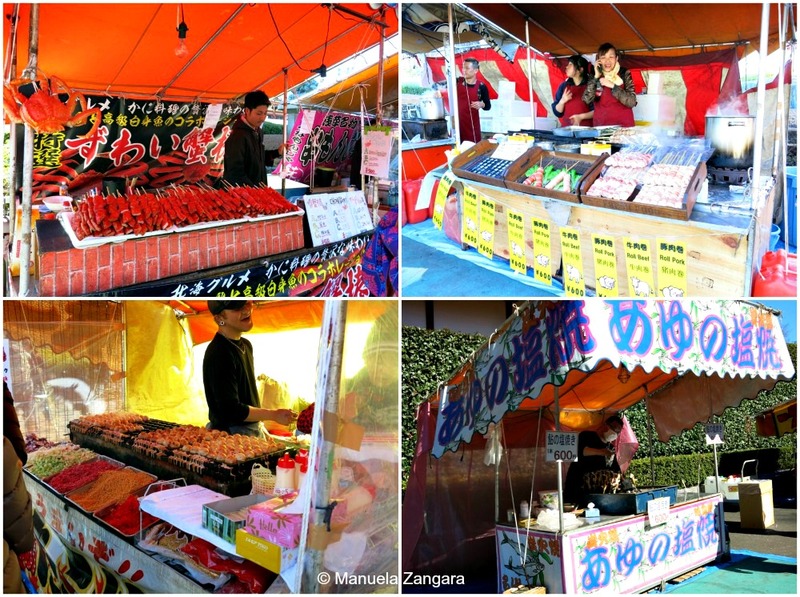 We also found a little shops that sells good Kare Pan (fried bread filled with Japanese curry). 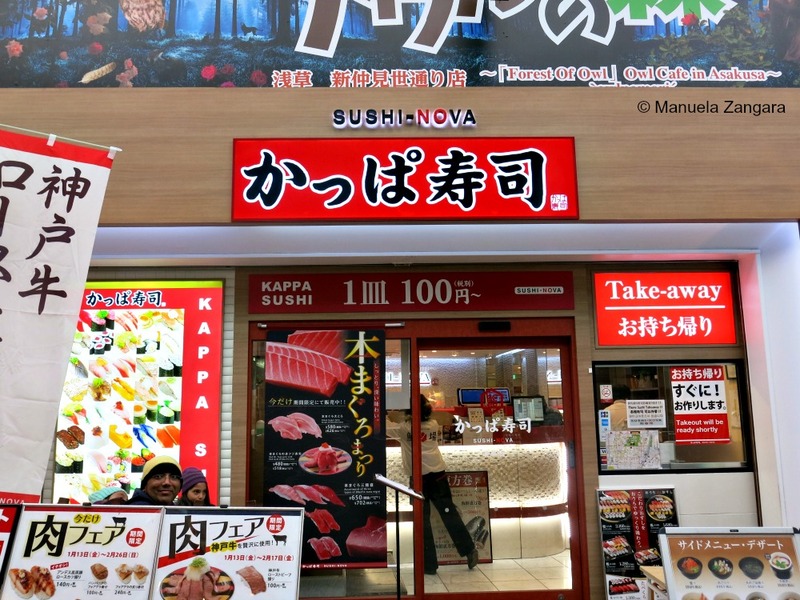 But our best find was a sushi joint called Sushi Nova. We went there so many times that we became regulars and I am going to write a separate post about to review it properly. 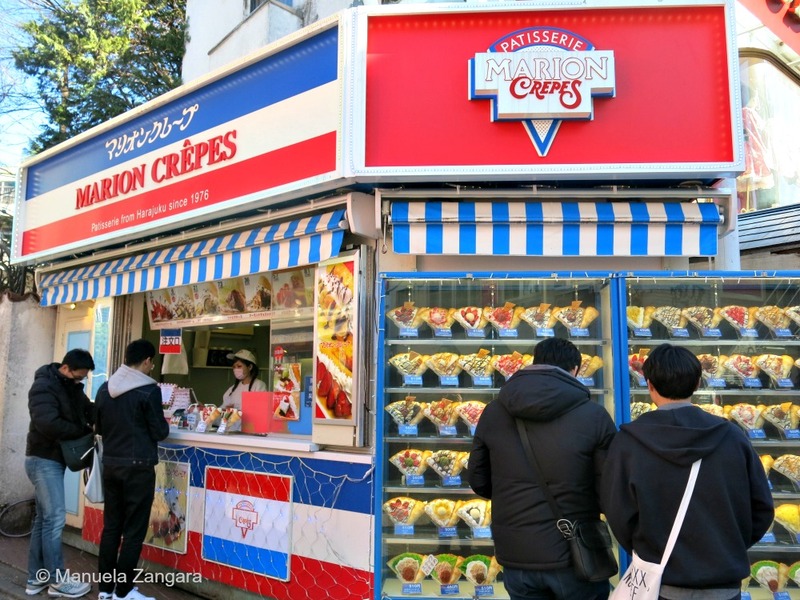 As I wrote above, Harajuku is renowned for its crêpe stands. There are so many! We tried only one: Marion Crêpes. 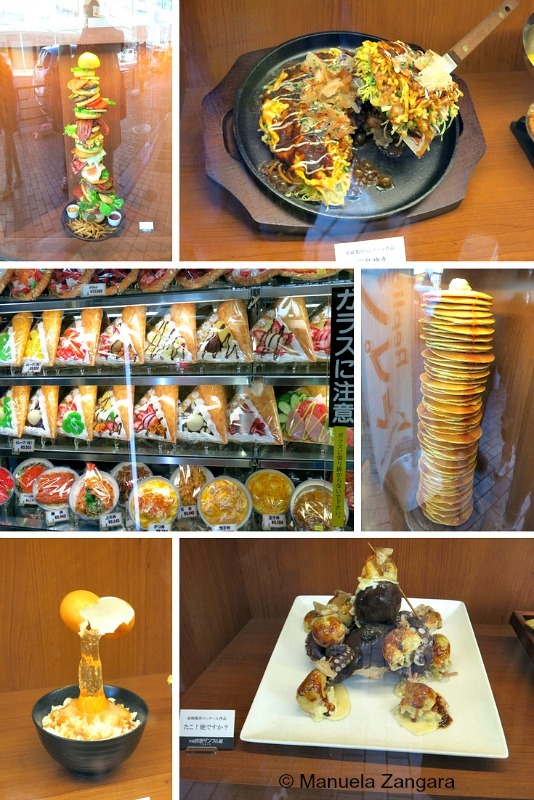 I loved all the plastic crêpe models they had on display, so you could easily choose what you wanted to order! The kids had a “simple” one with whipped cream and chocolate. My husband and I shared one with custard, caramel, cheese cake and whipped cream! Not so light! 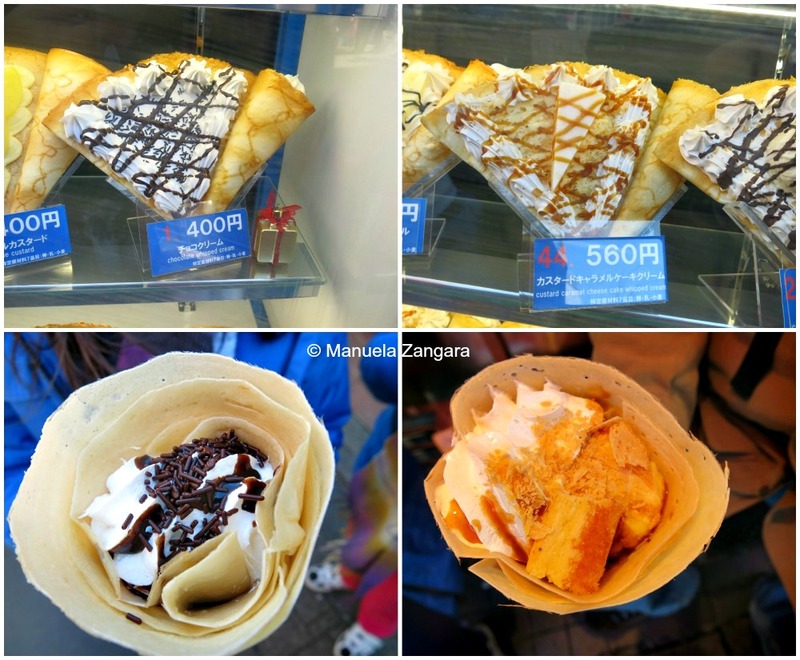 The crêpes were a really interesting experience, mainly for the crazy fillings! But I must admit that flavour-wise I was not impressed. Maybe I am spoilt, having grown up eating crêpes in France, but the batter wasn’t really tasty and the whipped cream was the ready-made kind. Anyhow, it is something I still recommend trying. 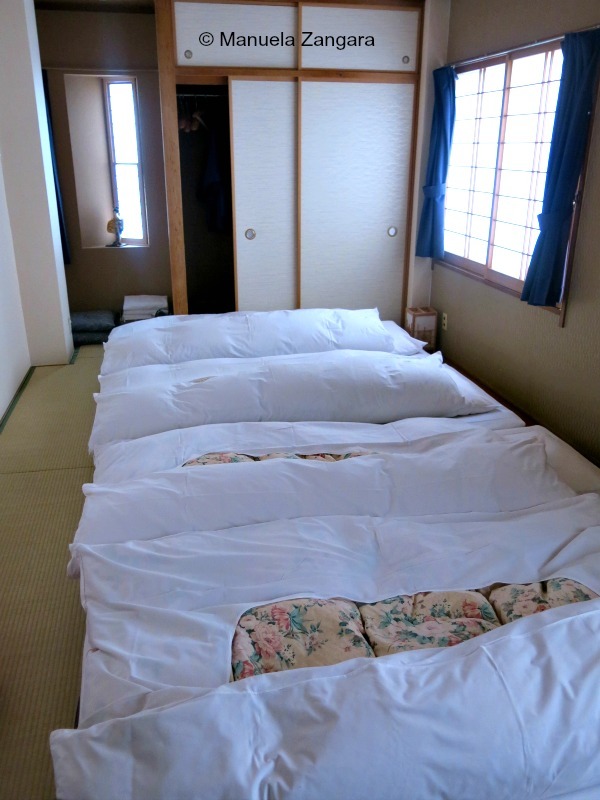 In Asakusa, we slept in a Japanese style hotel: Ryokan Kamogawa. 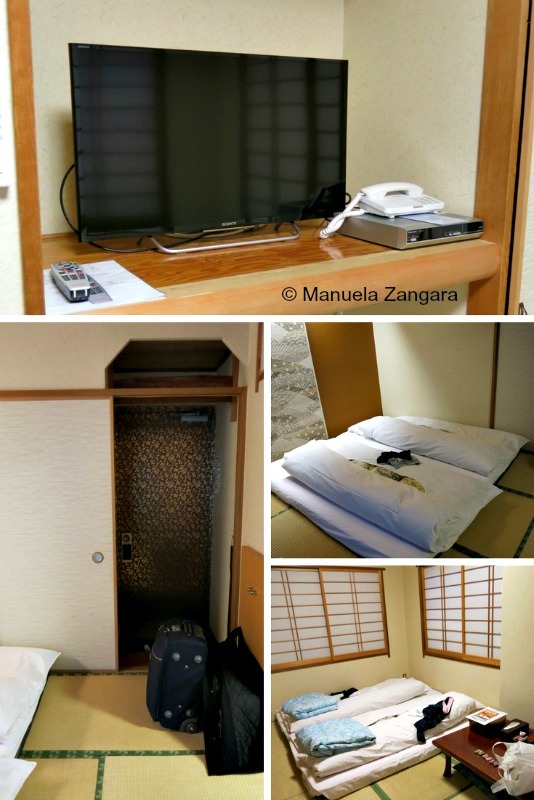 We had already stayed here on our very first night in Japan in 2015 and we had liked it so much that when booking time came around we had no doubt on where to stay in Tokyo! Their futons are really comfortable. The ryokan is in a fantastic spot. It’s basically just off of Nakamise-dōri, on a quite side street. And it’s less than a 5 minute walk from Sensoji. Really unbeatable! 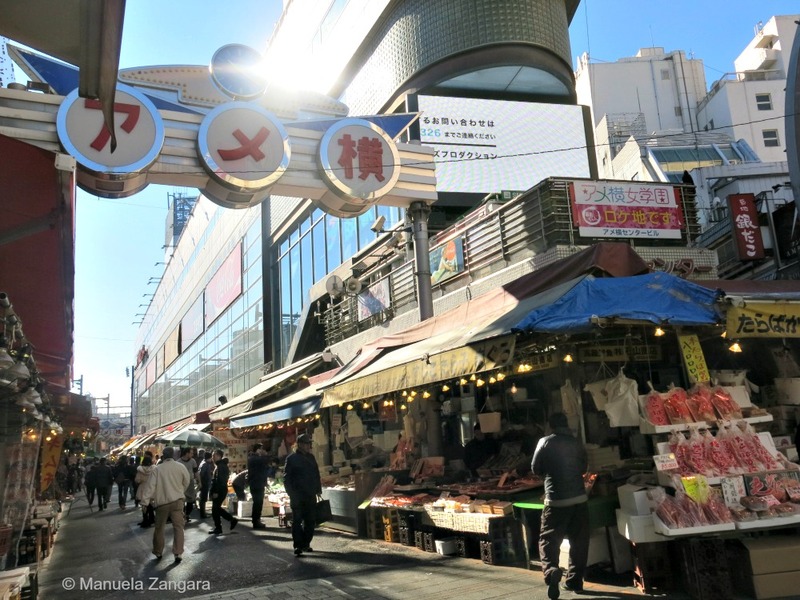 It was also close to Donki and the subway station (Asakusa on the Ginza line). 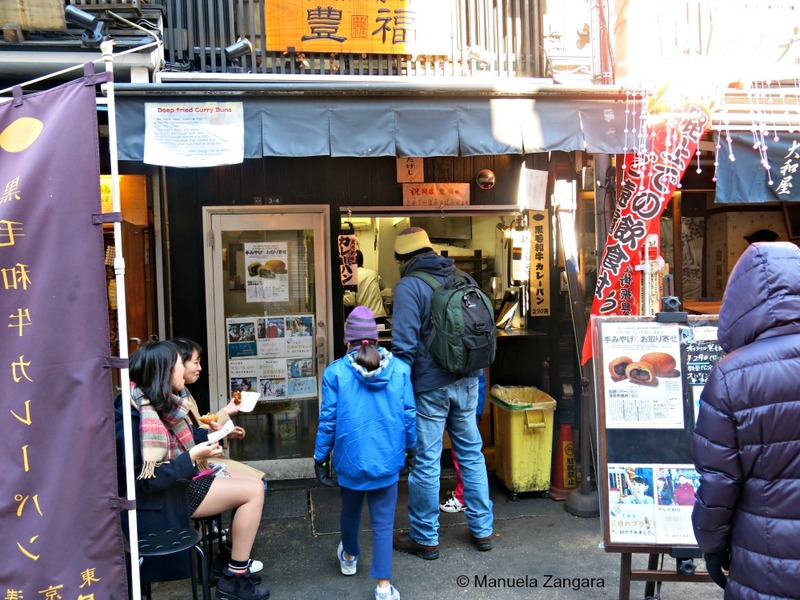 Not to mention that our favourite sushi joint was just around the corner! Actually this time we tried 2 different room: #305 (like 2 years ago) at the beginning of our trip. And #303 for the last 2 nights of our holiday. They were both equally good, with #303 possibly being just a tad bigger. 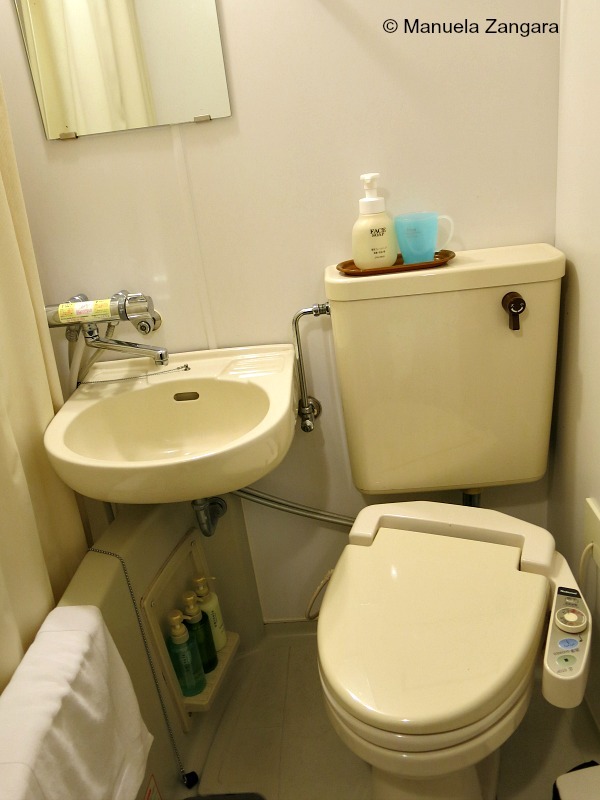 We even had a Yukata each to wear for the night and all the usual toiletry sets you find in Japanese hotels, like toothbrushes and toothpaste, razors etc… The only not so great thing was the toilet, as it was really tiny. But we were happy to have a private bathroom with a shower and even though it was small, it even had a modern toilet with a washlet and heated seat! 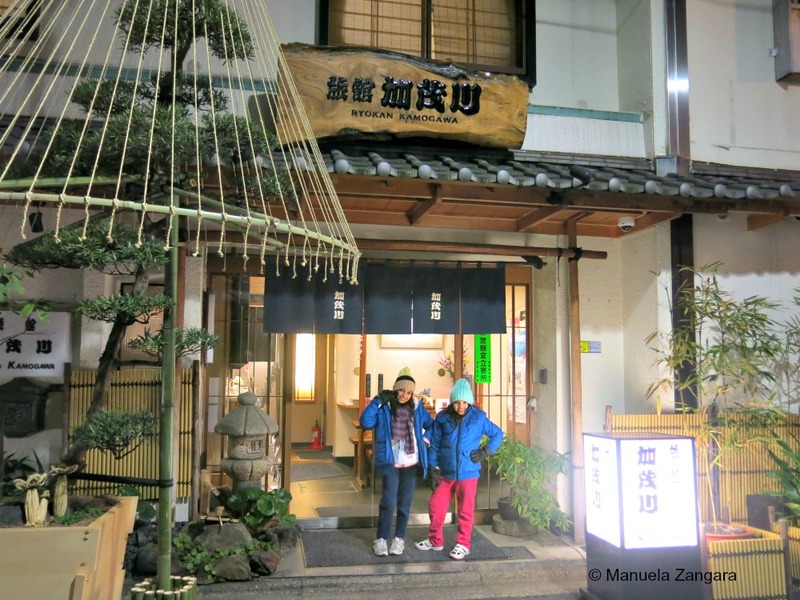 We also loved the little family onsen on the ground floor and the fact that you can use it free of charge and privately. It has a small hot tub, but having a hot relaxing bath after a long tiring day in the freezing cold was a blessing! 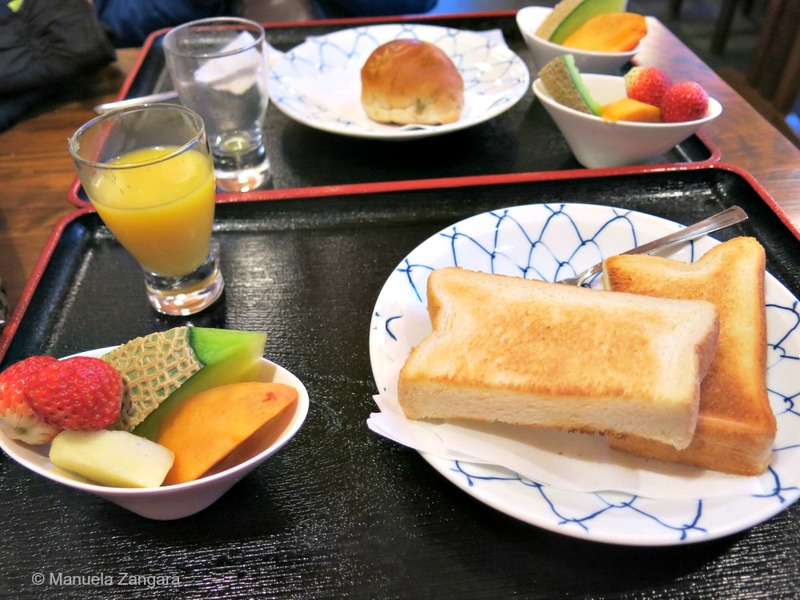 I also loved the fact that when we arrived at 5AM on the first day, they offered us a delicious complimentary breakfast (we had booked the room only, with no meals) and let us use the bathroom to have a wash while getting our room ready. The staff is a gem!! The friendly staff also helped us to organise the takuhaibin service, to have our luggage shipped to our accommodation in Kurashiki. This is a very convenient service with a reasonable price (about $20 per suitcase) and when you get to your destination, you find your bags waiting for you! I highly recommend Ryokan Kamogawa for the comfort of the room, the friendly service and the amazing location. 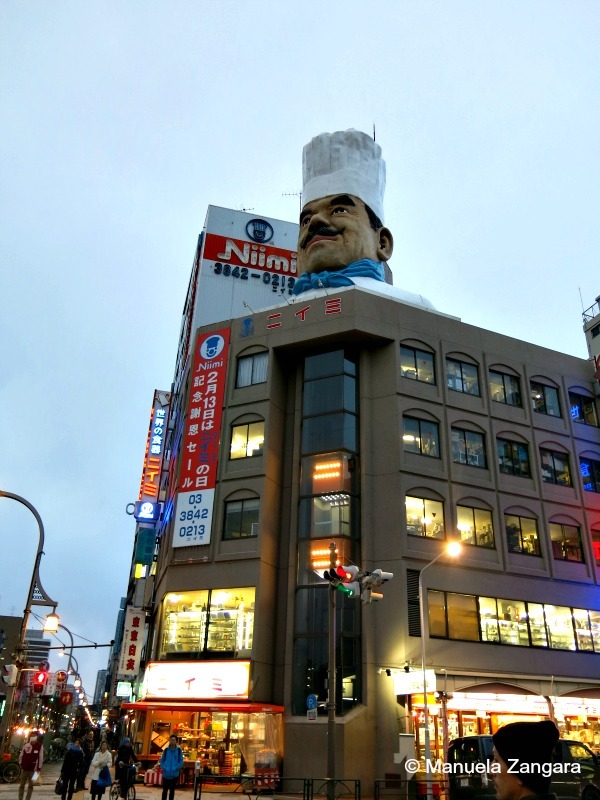 This is definitely the place where we will be staying again on our next visit to Tokyo. 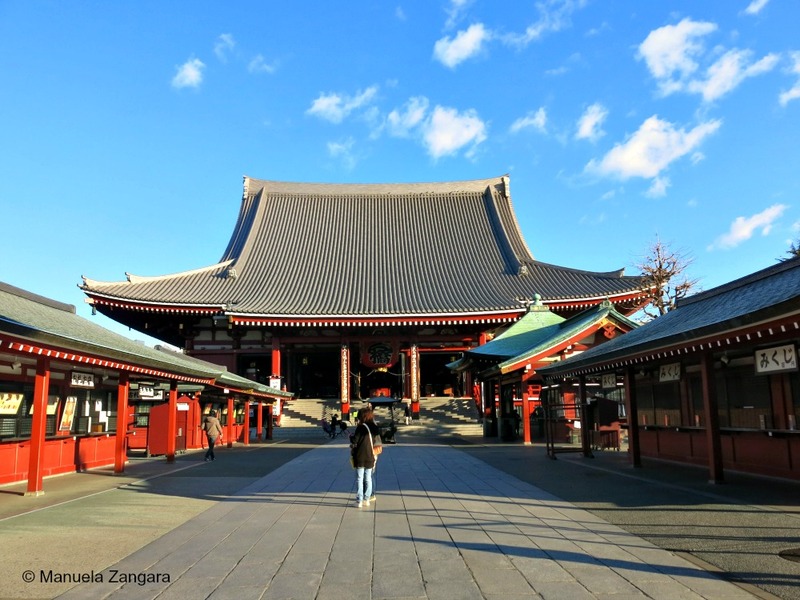 From Haneda Airport you can either take a train (Keikyu Line) directly to Asakusa (no change of train required), or you can hop on a Limousine Bus and get down at Asakusa View Hotel.